Emotional intensity and a powerful sense of the fragility and impermanence of both the physical body and the social fabric…. A further persuasive illustration of the genius of one of Israel’s finest contemporary writers. 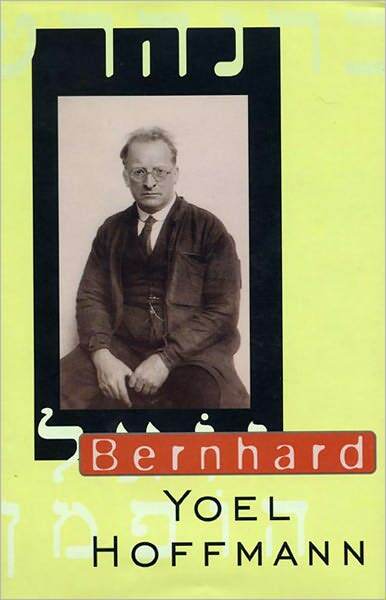 Set in 1940’s Palestine, Bernhard concerns a German-Jewish widower. Devastated by the loss of his wife, Bernhard disconsolately walks the streets of Jerusalem, considering Gandhi, analysis, the beauty of his wife Paula’s neck, his Arab neighbors, Kokoschka, the Messiah, and the inner life of his friend Gustav the plumber. As his hero tries to come to terms with his grief and the disasters of WWII, Hoffmann shows the slow remaking of an inner world.